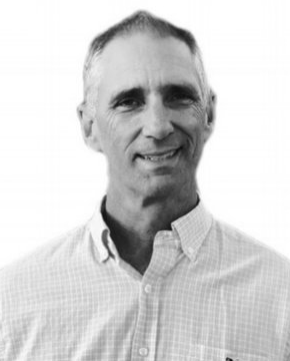 New Page — Solar Gain Inc.
Ken is a registered Civil Engineer and has worked in the construction industry for over 30 years with the Kiewit Companies. He has held executive oversight for multiple business units, and estimated, negotiated, and executed numerous large projects ranging from $250 million to $1+ billion construction value. The include roads, bridges, dams, rail projects, and treatment and power plants. Notable projects include the Carlsbad Desalination Plant, the Pine Tree Wind Farm commissioned by the LA Department of Water and Power in the Tehachapi Mountains, the Los Angeles Freeway 405 infrastructure repair project, a high-stakes project also known as Carmegeddon, and the Benicia-Martinez Bridge in Solano County, California. In 2016 he became involved in the solar industry and, through a mutual friend, met Roman Black. Solar Gain had entered the California market and Ken and Roman saw an opportunity to form a partnership and help Solar Gain take on the challenges that come with growth. Ken is a past chair and active board member of the Tahoe Prosperity Center and, when he’s not in Tucson, spends his time backpacking, skiing, and enjoying his home and family in Lake Tahoe. Roman holds significant experience in commercial solar project development and sales, and is committed to serving our clients in the expanding California and Arizona markets with continued excellence in his role as VP of Sales & Marketing. Roman earned his degree in Finance from the University of Arizona, and spent several years in Costa Rica expanding his knowledge and skill set in sustainable industries. While in Costa Rica, he served as project manager for the construction of custom homes that integrated LED lighting, rainwater harvesting, black water recycling, and solar and wind power. After returning to the United States, Roman took on responsibility for leading Solar Gain and helmed the company for eight years as President during periods of tremendous growth. At Solar Gain he builds the best possible financing options through strong funder relationships and aggressive pursuit of financial benefits and incentives for our clients. Roman is a founding board member of the Southern Arizona Green Chamber of Commerce. Ron came to Solar Gain in early 2017 with nearly 30 years of leadership experience in various finance and operations management roles. Upon graduating from the University of Wisconsin with degrees in Accounting & Finance, he began his career in public accounting with Ernst & Young where he earned his CPA certification. Ron has led process improvement initiatives in multiple manufacturing, engineering design, and project management enterprises in the water treatment and aerospace sectors. Most recently, Ron spent 16 years in the medical device industry as part of Smiths Medical and Teleflex, focused on supply chain strategy and product cost optimization. While Ron now makes his home in Tucson and enjoys motorcycling, biking, and hiking in his spare time, he remains faithful to all things Wisconsin – including Packers, Badgers, and cheese.